We say goodbye to Leigh Perry, who has been a member of our support staff since the 1990’s. Through the years she has provided administrative support to Children, Youth, Adults, Congregational Care, and Mission and Outreach ministries. Her current position as the assistant to the pastor has been eliminated as part of a new staffing model. 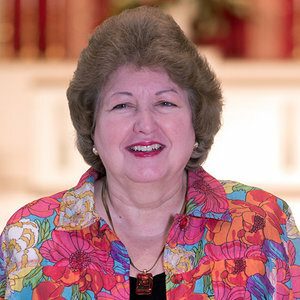 We appreciate her administrative skills, writing and editing, knowledge of our church family, thoughtfulness, and especially her gift of hospitality to members, guests, and staff. We wish her the best in future endeavors. Thank you, Leigh! If you would like to send Leigh a note or card with a memory or good wishes, her address is 8631Trent Road, 23235, or email her at plannerleigh@aol.com.